So it's been a while, but the craft or more accurately the DIY has kept me busy. I haven't got a good pic yet, but I've been revamping my new material cupboard, which was kindly donated to the cause by a sympathetic craft lover, thanks Zoe. In the meantime. I'm gearing up to do a shop update. So here are a couple of wares up for grabs in the next day or two from my madeit shop. So pop over to the left of the page to my shoplink. I've also been knocking out a few cake toppers which I've been pretty happy with. 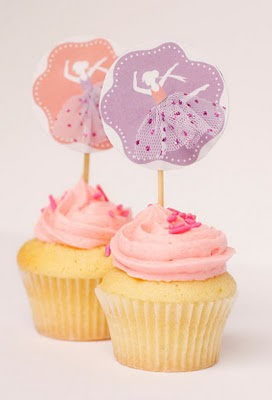 These cake toppers look big, but they're photographed on mini cupcakes. And, yes those skirts were a pain to pull through the hole I punched in the paper. awesome awesome awesome new cushions - love them! Can't wait to see the new cupboard, if the amazing day bed is anything to go by you're a bit handy at DIY, missus! Hi Di...I noticed some of the new wares for the shop feature images from your screenprinting post. They look fabulous. I checked into the screenprinting course and am booked to do it on Saturday July 24. Can't wait!!! It's been a while since I worked with screenprinting, really need a refresh. Loving your blog, hope you are havinga fun holidays, look forward to seeing you back at school!!!! good to see you back Miss Di. been thinking of you all holidays but laid low by many colds. would love to see you, maybe next week. i need your help and inspiration.